The London School of Economics and Political Science (LSE) is collaborating with digital education company, GetSmarter, to bring its teachings to the digital world through a collection of online certificate courses, covering a range of disciplines. 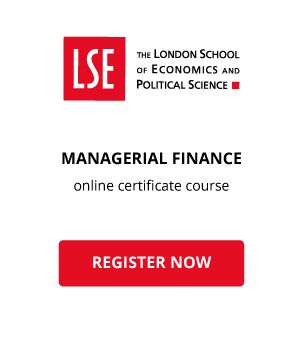 For the first time, you have the opportunity to learn from LSE entirely online. Gain access to the insights of LSE’s esteemed faculty as you engage in a supported and people-centric learning model that helps you gear your course takeaways to your own professional development. Whether you’re interested in MBA skills, international relations, economics or finance, the LSE online certificate course portfolio is designed to help you gain relevant skills and knowledge from the world’s leading social science university -wherever you are in the world. Watch the video below to find out more about the LSE Online Campus – your portal to this highly interactive and supported online learning journey. Which online courses are on offer from LSE? The eight-week Business, International Relations and the Political Economy course is the link between in-depth expert commentary on world affairs and your business’s bottom line. It provides students with the frameworks to understand and analyse current global issues, allowing them to predict and mitigate the impact on their business. With expert guidance and insights, using case studies that highlight the effects of global political and economic issues, students will walk away with an analytical lens with which to critically engage with and understand global and microeconomic issues from multiple perspectives. The MBA Essentials online certificate course from LSE offers students the enhanced managerial competencies and expert business acumen associated with an MBA, in a convenient learning experience. This future-focused MBA will help students adapt in a disruptive technology era, gaining both leadership and competitive strategy business skills at a fraction of the cost and commitment of an MBA. The Managerial Finance Essentials course aims to equip students with the ability to manage a budget, create forecasts, account for financial responsibilities and navigate the world of finance with ease. Through gaining high-level financial knowledge and understanding, students walk away with enhanced managerial competencies and the ability to understand their impact (or that of their department) on a business’s bottom line. Which LSE online certificate course is the right fit for your career aspirations?